We have an excellent professional Mandarin interpreter named Isabella in Changzhi, Shanxi Province, who also covers simultaneous and consecutive Mandarin interpretation and Chinese translation requests in Xi'an (Xian, Shaanxi Province), Zhengzhou (Henan Province), and Taiyuan (Shanxi Province). Isabella has years of experiences interpreting for clients in different industries and have received very positive feedbacks from them. Please see below, for more information about her. - Five years of professional Chinese-English interpretation and translation experiences. - Worked as an intern in the United Nations and observed interpretation in various international conferences. - An official interpreter for 2010 Guangzhou Asian Games, 2014 Guangzhou Award and Canton Fair, and an official translator for TED Talks. - A resident translator for the international channel of Guangdong Radio and TV Station as well as a department of Guangzhou Daily Group. - Willing to learn anything new and take up challenges. 1. 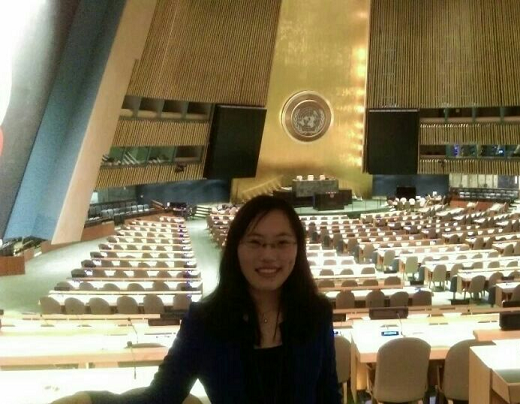 The United Nations Secretariat Intern, observed interpretation in various international conferences, guided by the director of UN Chinese-English interpretation group, and studied under UN professional interpreter Ms. Wu Xiaoke. 2. TED Talks Chinese-English translator, translating subtitles for various videos. 3. Volunteer Interpreter for 2010 Guangzhou Asian Games, interpreting for VIPs in SCUT Stadium. 4. Resident translator for the international channel of Guangdong Radio and TV Station, in charge of the translation for programs like China Chats, Pearl River Story, Face Time, China Sports Weekly, serving French Consul-General, British Consul-General, New Zealand Ambassador in China, general manager of Guangzhou W Hotel, musician Yiannis Hrysomallis, musician Maksim Mrvica and director Li Xiaoyu. 5. Official simultaneous interpreter and translator for Dragon TV Hey Muse season 3, interpreting for 3 video conferences and 6 on-site conferences, helping the communication between director group, designers and super stars, interpreting for designers like Lucian Matis, Marie Escote, Jim Lyngvild, KTZ and Michael Stuart and super stars such as Claudia Wang, Chiling Lin and Sui He, translating contracts, project introductions, relevant documents, etc. 6. Official simultaneous interpreter and translator for the 2nd and 3rd International Junior Tennis Tournament (held by Administration of Sports of Guangdong Province), interpreting for welcome reception, awarding ceremony and referee meetings, translating relevant official documents. 7. Simultaneous interpreter and translator of the 2nd Guangzhou Awards, interpreting for Mr. Diao Ailin, deputy secretary-general of Guangzhou Municipal Government at reception party, translating documents needed for press conferences. 8. Interpreter for Peter M Herford, the former producer of 60 minutes when he attended the documentary workshop in SCUT (over 100 participants). 9. Interpreter for Peter M Herford, the former producer of 60 minutes when he attended the international documentary festival in Guangzhou. 10. Simultaneous interpreter for CHAO Masters’ Forum Series (over 100 participants), interpreting for MONOCLE editor-in-chief Tyler Brule, STELLAR WORKS CEO Yoichiro Hori, FANG SUO COMMUNE founder Mao Jihong, Liangcang founder Chen Jiaojiao. 11. Consecutive and Simultaneous interpreter for 2016 the 3rd international Ice Carving Contest, consecutively interpreting for opening and awarding ceremonies (about 80 people), simultaneously interpreting for welcoming and celebration banquet, helping the communication between staff, contestants and judges, simultaneously interpreting for all during the tour in Long-Hu Mountain. 12. Simultaneous and consecutive interpreter for Manchester United during its training camp (over 50 people) in Beijing, simultaneously interpreting for coach Chris and soccer star Yorker, consecutively interpreting for closing ceremony and exclusive interview from Beijing TV Station. 13. Simultaneous and consecutive interpreter for Manchester City Football Club during its training camp in Beijing co-held by City Football School, consecutively interpreting for opening and closing ceremonies, simultaneously interpreting for coach Simon and Jonny. 14. Simultaneous and consecutive interpreter for business negotiations between Dignity Health and BOE in the field of medical equipments, simultaneously interpreting for 2 conferences (about 50 people) and consecutively interpreting for 2 conferences (about 50 people). 15. Simultaneous interpreter for business negotiations between Flame Media and Iqiyi.com in the field of media cooperation. 16. Consecutive interpreter for business negotiations between John Caldon, the management director of Flame Media and Dr. Zhang Tondao, the professor from Beijing Normal University in the field of media cooperation. 17. Simultaneous interpreter for business negotiations between Beijing Brite Automatic Calculation System Company and Singapore Investment Company in the field of petroleum automation. 18. Simultaneous interpreter for business negotiations between Galaxy Electrical System PA INC and American partners in the field of electrical engineering. 19. Simultaneous interpreter for business negotiation between China’s largest ski magazine Speed Ski and USSA CEO Tiger Shaw in the field of sports equipment. 20. Consecutive interpreter for business negotiation between Anhui RBTEK co. Ltd and Iranian clients in the field of electrical automation. 21. Consecutive interpreter for business negotiation between Beijing Bi Shui Investment Group and Korean partners in the field of aviation equipments. 22. Simultaneous interpreter for construction project of Beijing Kingsway Engineering Company, interpreting for weekly meetings between Kingsway and German engineers in the field of construction engineering. 23. Official interpreter of Canton Fair, interpreting for foreign buyers. 24. Consecutive interpreter for SCUT-Brigham Young University cooperation negotiation in the field of education. 25. Simultaneous interpreter for priests in New York Flushing church in the field of religion. 26. Chang Zhi University English teacher, teaching juniors Advanced English and Advanced Listening. 27. Translator of Asian Top 10 Golf Court Selection. 28. 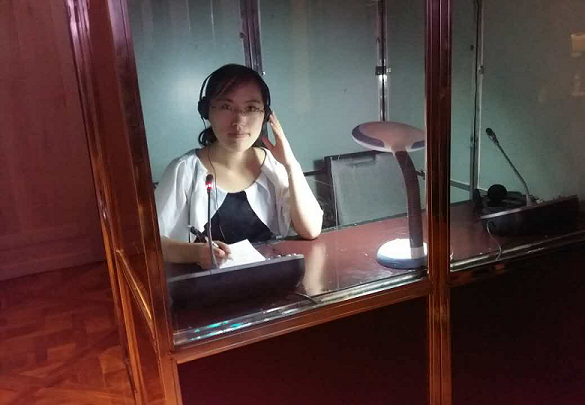 Consecutive interpreter for The Museum of the Nanyue King Mausoleum. 29. Consecutive interpreter for wine-tasting party in Oriental Hotel. 30. Translator of Foshan Zhuode Company Limited in the field of cosmetic promotion. 31. Translator of training materials for young fashion designers workshop held by Huadu Government. 32. Consecutive interpreter for a meeting of intellectual property right transfer and translator of relevant contracts. 33. Translator for Guangzhou Daily Group, translating scientific articles. 34. Translator of annual reports for China Southern Power Grid in the field of electrical automation. 35. Translator of report for Four Season Hotel in the field of hotel management. Xi'an is the capital of Shaanxi province, one of the oldest cities in China. Since the 1990s, as part of the economic revival of interior China especially for the central and northwest regions, the city of Xi'an has re-emerged as an important cultural, industrial and educational center of the central-northwest region, with facilities for research and development, national security and China's space exploration program. Xi'an is the most populous city in Northwest China, as well as one of the three most populous cities in Western China. Important industries in Xi'an include equipment manufacturing, tourism, and service outsourcing.